Auto Ship & Earn + 179 Points What's this? 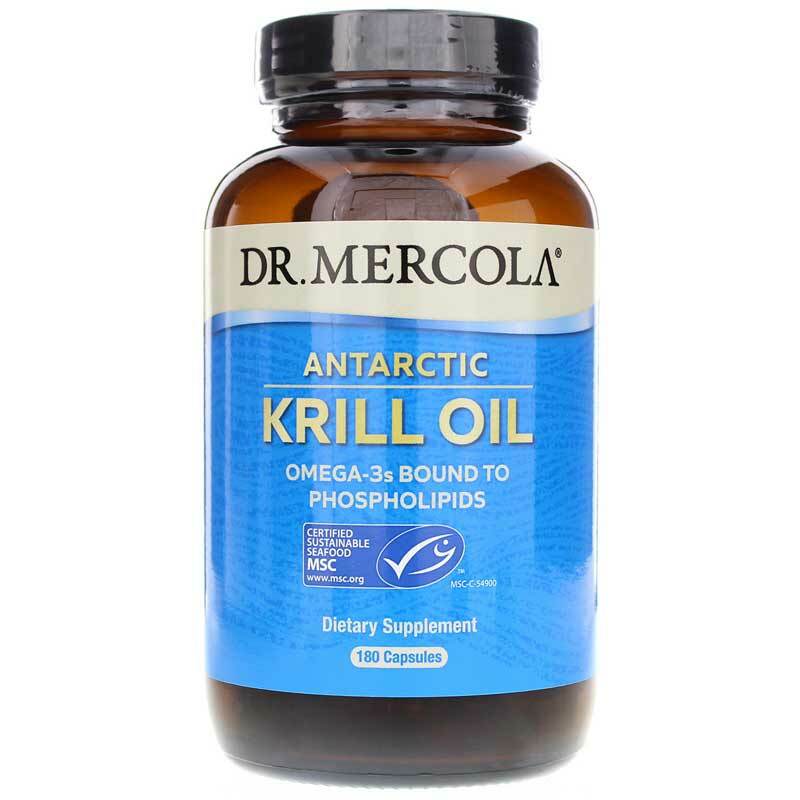 Antarctic Krill Oil from Dr. Mercola is a highly absorbable Omega 3 supplement derived from pure Antarctic Krill, which are naturally rich in phospholipids and astaxanthin. However, unlike fish oil, krill also contain phospholipids, which can help your body absorb the Omega 3s more easily. The krill in this supplement were harvested from the Antarctic seas, where they are low on the food chain and far from sources of pollution. Krill are naturally rich in vitamins A & E, phospholipids and astaxanthin. 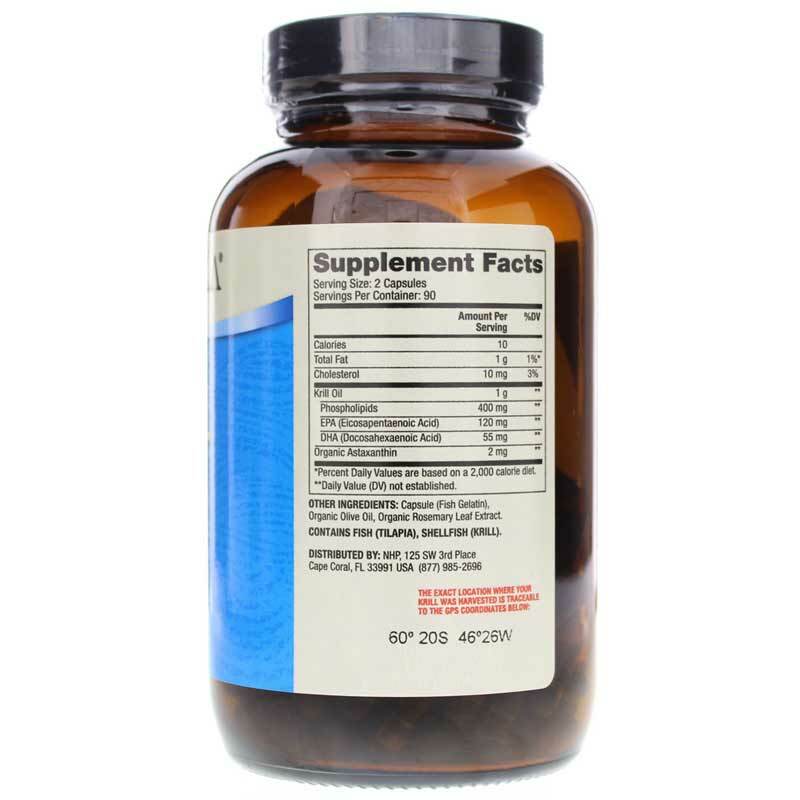 Astaxanthin is a flavonoid - a potent antioxidant compound that may help protect the body from the effects of free radicals. As a dietary supplement to balance and support healthy levels of Omega 3s, adults may take two Licaps per day, with the first meal, or as directed by a healthcare professional. Other Ingredients: Capsule (Tilapia Fish Gelatin), Organic Olive Oil, Organic Rosemary (Leaf) Extract. Adults: As a dietary supplement, take 2 capsules daily with the first meal. If you are allergic to shellfish, have a blood coagulation condition, or are taking anticoagulants such as Warfarin (Coumadin), do not use. If you are pregnant, nursing, taking medications or have a medical condition, please consult your healthcare practitioner before taking any dietary supplement. Keep out of the reach of children. I use many Mercola products. You had a cheaper price than the good doctor. I like the Krill oil and feel it is better than fish oil. 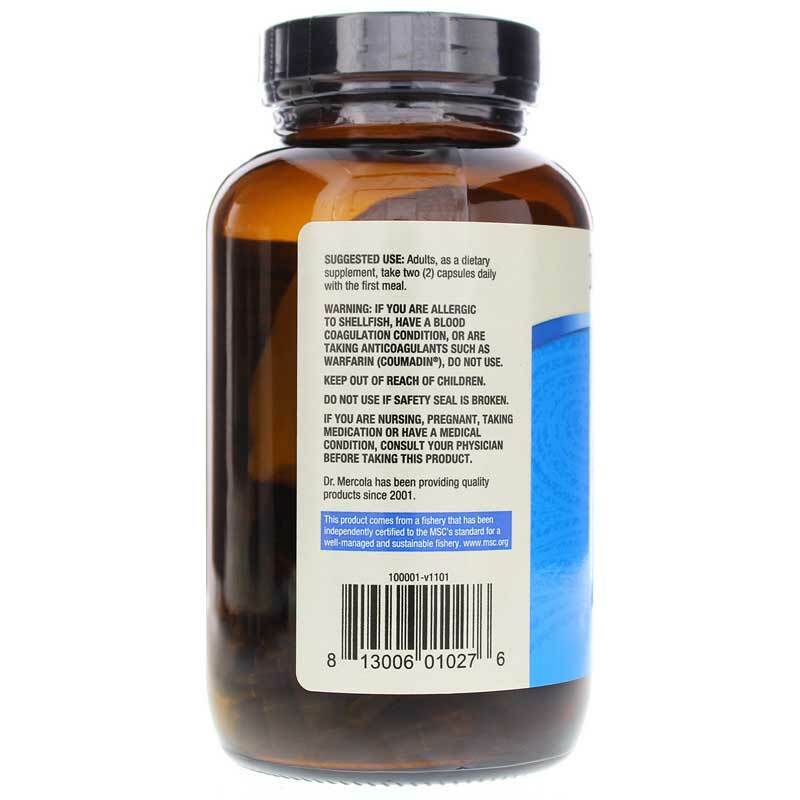 Fair prices, quick free shipping are why I started shopping at NHC but the lab results were excellent after taking this Krill oil along with a couple other supplements recommended by my Dr. I'll keep shopping on this web site.